(Free Press Release) Super Blinds Mart harnesses years of expertise in the retail window furnishings industry to present superior quality blinds online at exceedingly competitive prices all across Australia. Perth, Western Australia (newpressrelease) November 27, 2017 - As notable leaders in the window furnishings industry, Super Blinds Mart has built a reputation for offering beautifully designed blinds online. Specialising in styles that are exquisite as well as practical, the experts offer the ideal window furnishings for every situation. An assurance of quality is one of the key factors that make Super Blinds Mart a coveted destination for window furnishings. The experts exclusively supply blinds made using the best materials and components coupled with quality workmanship. This ensures that every customer is delighted with the purchase. Consumers can take pleasure in the progressive designs and innovative build of the blinds, while relishing the added convenience of shopping online. "We've sold blinds and curtains to hundreds of happy Australian customers. Whether it's our locally manufactured custom made blinds or our internationally sourced readymade blinds, we ensure that our entire range meets the strictest quality standards. Our store now lets you buy blinds online Australia wide with a safe and secure shopping experience from the comfort of your own home. Using the same fabrics as Luxaflex, Meter and other big brands, we manufacture our custom-made blinds right here in Australia and source our ready-mades from quality international manufacturers," reveals a Super Blinds Mart spokesperson. Studies show that a majority of consumers hesitate in making purchases online fearing the lack of a secure payment portal. Recognising this need, Super Blinds Mart offers a secure means to buy online blinds with eWay Payment Gateway software. The specialists in window furnishings present the lowest prices across Australia without making any compromise on security or quality. The retailers are renowned for quality customer service despite the fact that customers do not need to physically visit the store. Dedication in offering customers a quality product as well as stellar after sales service has made the brand a force to reckon with in the window furnishing industry. 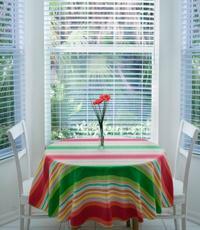 From Roman blinds to Venetian blinds; the experts deliver window coverings that are hassle-free to operate. The wide variety of blinds on offer, help consumers choose from an extensive range of materials, colours, textures and styles. Customers prefer to buy blinds online since it is the perfect way to choose a design that suits the home or office decor as well as fits into the budget!